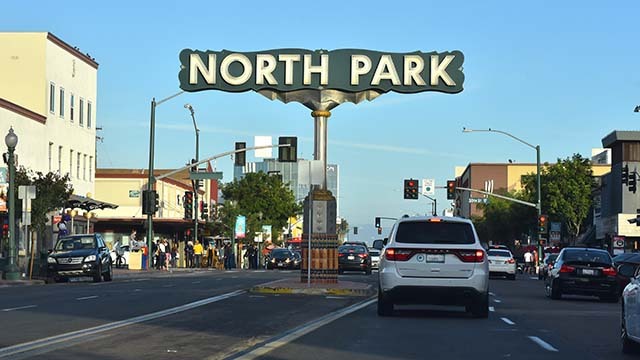 Three suspects were behind bars in other states Thursday in connection with a nearly 18-year-old homicide in a neighborhood just north of Balboa Park, authorities reported. Arrested Wednesday for allegedly taking part in the murder of 71-year-old LeRay Parkins were Lester Bell and Edward Jamar Brooks, both 38, and 36-year-old Terrence Maurice Brown, according to the San Diego Police Department. On Aug. 23, 2000, Parkins was found mortally wounded in an alley off the 3700 block of 28th Street in North Park, where he resided. He was pronounced dead in a hospital three days later. The cause of Parkins’ death, which was ruled a homicide, has not been made public. During the initial investigation into the slaying, detectives identified Bell, Brooks and Brown as potential suspects but lacked sufficient evidence to arrest them, SDPD Lt. Matt Dobbs said. All three of the men eventually relocated to other parts of the country. Recently, aided by advances in forensic technology, cold-case investigators were able to “solidify the case against the three suspects” enough to warrant charging them for the killing, Dobbs said. Bell was taken into custody in Longmont, Colorado, Brown in Tucson and Brooks in Charlotte, North Carolina. They were being held in those cities pending extradition to San Diego. The lieutenant declined to specify what type of evidence led to the trio’s arrests and would not comment on a possible motive for the homicide.